Learn how to de-stress and energize your life and create the kind of balance you want and need in your life. Find yourself more centered, more at peace and physically better. T’ai Chi Chih® consists of 19 slow, gentle movements that can be practiced by persons of any age or level of fitness and are easy to learn. Benefits can be experienced almost immediately and increase with regular practice. And now this beneficial practice is available for you. A new eight week course will begin at Holy Family Convent, 310 N. River Road, Des Plaines, March 5 – April 30 (no class April 16), from 7:00 – 8:30 pm. Sr. Cathy Fedewa will lead the classes. The fee for the entire course is $80. To register, call Sr. Cathy at 412-849-9117 or email her at cfedes@yahoo.com, no later than February 21. 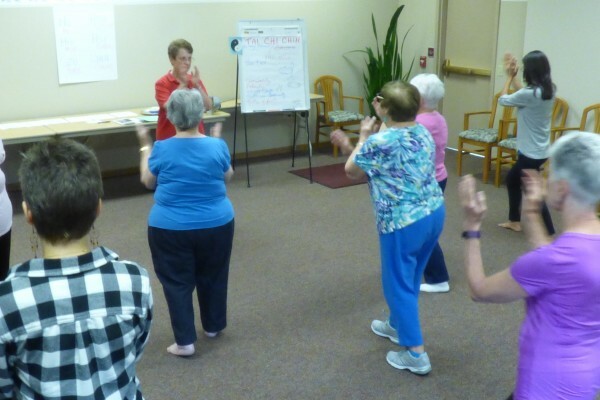 “I began T’ai Chi Chih practice 20 years ago and was ‘hooked’ on its value after only two sessions,” says Sr. Cathy, certified TCC teacher. Also called ‘Joy through Movement’ it provides a calmness and serenity that can be enjoyed by everyone. To learn more about T’ai Chi Chih, visit www.taichichih.org.